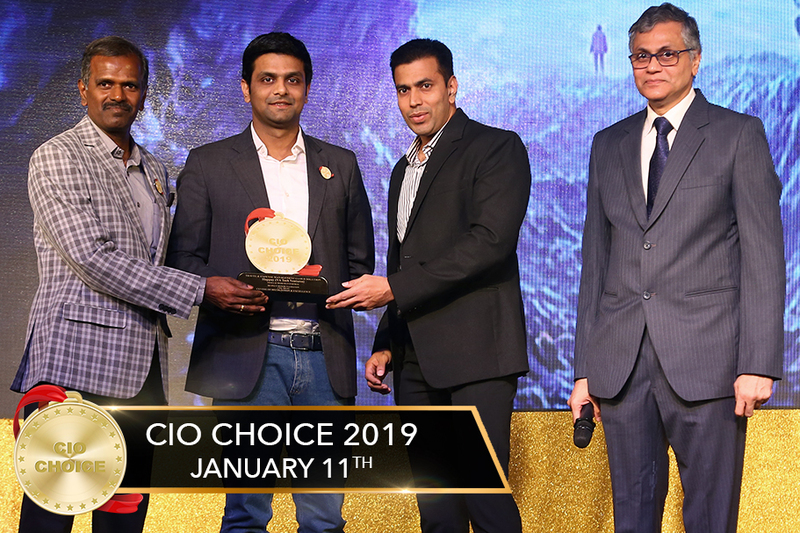 18th JANUARY 2019, MUMBAI: Happay, India’s leading Business Spends Management provider, announced today, that it has been conferred CIO CHOICE 2019 honour and recognition as the most preferred brand in Travel and Expense management category. Its cloud-based platform leverages modern technologies such as AI, ML and Mobility to help businesses automate their expense claims and reimbursement processes, boost productivity, achieve policy compliance and get rich insights into corporate spending. Now in its 7th year, the annual CIO CHOICE recognition is the largest and only online voting platform, where CIOs determine and choose the products that have earned their vote of confidence. There is a distinguished Advisory Panel, comprising of CIOs from across verticals, that guides the entire process, with KPMG as the Knowledge Partner. Currently, Happay serves over 4500 enterprise, MidMarket and SME clients, it plans to double the customer base by the end of 2019 with newer solutions and more strategic partnerships similar to Uber and HDFC Bank. With an annualised run rate of $ 700 million in transaction volumes and its on track to reach 1 billion USD mark by the end June 2019. Rathi further added, “We strongly believe that CFOs and CIOs are the catalysts of digital change in Enterprises; their drive encourages us to push the boundaries of innovation. Through our AI-powered, highly-configurable and integrated Travel & Expense Management platform, we will continue to help CIOs to lead business transformation and enable CFOs to shape the future direction of their enterprise.”. Happay recently completed the acquisition of WorkZie for an undisclosed amount; Post-acquisition all employees of Workzie joined Happay. WorkZie had a strong belief in automating expense management at the source itself which aligned with Happay’s larger vision. Both companies decided to come together to transform the way companies looked at business spends and solve a critical pain point for CFOs and CIOs. Happay is India’s leading Business Expense Management Solution provider for Corporates. It is headquartered in Bangalore and was founded in 2012 by IIT Kharagpur alumni Varun Rathi and Anshul Rai. Happay’s cloud-first and mobile-first business spend management software linked to corporate cards is used by 4500+ corporates across 40+ business verticals in India. In the last 6 years, the company has grown from scratch to one of India’s leading FinTech companies with 350+ employees across 10+ locations. Known for its innovation and process excellence, Happay has received various awards such as London Mayor’s India Emerging 20 (IE20), IAMAI’s ‘Best Prepaid Card’ twice, Silicon India’s Company of the Year, Paul Writer’s ‘Hot Bangalore Brands’ with innovative technology, Nasscom Top 10 and many more. The company is backed by globally renowned VC firms such as Sequoia Capital, Axiom Capital, AME Cloud Ventures and Prime Venture Partners among others. Copyright © 2015 CIO CHOICE. All Rights Reserved.